Kill mosquitos before they’re old enough to bite. 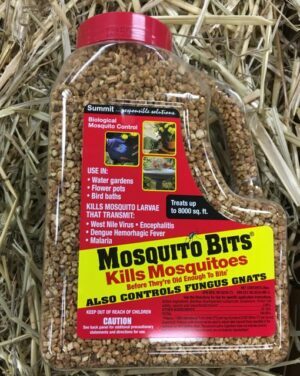 Biological control bits kill mosquito larvae that transmit West Nile Virus, Encephalitis, Dengue Fever and Malaria. 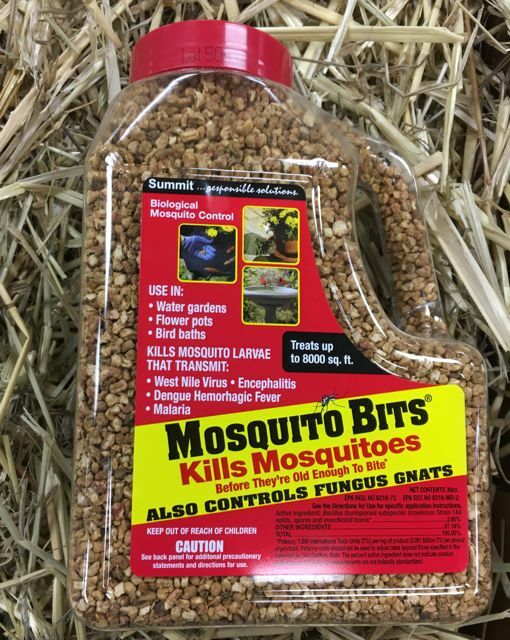 Treat up to 8,000 sq ft with these BT bits in your water gardens, flower pots, bird baths and other wet spots where mosquito Larvae lurks. Bengal Concentrate and IG Regulator to eliminate bugs and eggs.